The Training Report documents the PSSM seminar on weapons management in Khartoum from 24 to 28 September 2017, organized by RECSA, SARCOM; BICC and German Cooperation. 40 national representatives participated in the physical security and stockpile management (PSSM) seminar on weapons management, organized in partnership with the Regional Centre on Small Arms (RECSA) and the Sub-regional Arms Control Mechanism (SARCOM). They were drawn from various branches of the Sudanese Armed Forces including National Police Forces, Sudanese Armed Forces (SAF), Sudan Weaponry and Ordnance Corps, Sudan Central Reserve Forces Abu Tira, Sudan–Chad Joint Border Forces as well as the Sudan DDR Commission and Ministry of the Interior. 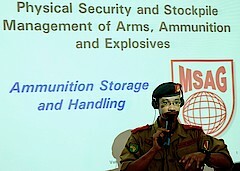 The objective of the seminar was to enhance participants’ knowledge of arms management as well as physical security and stockpile management. 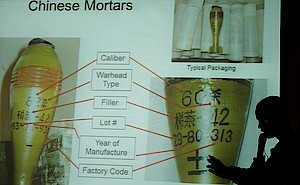 The curriculum was based on the International Small Arms Control Standards (ISACS) and International Ammunition Technical Guidelines (IATG). 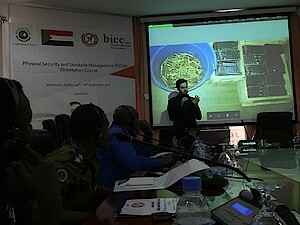 As part of this training, the participants received theoretical training at the Police Training Headquarters as well as visited a unit level armoury of the Sudanese Weaponry and Ordnance Corps in north Khartoum where they conducted an assessment exercise. Furthermore, SARCOM invited Bernhard Sekaganda, a representative of the INTERPOL regional office, Nairobi, Kenya, to also facilitate the course and share INTERPOL’s experience and expertise.